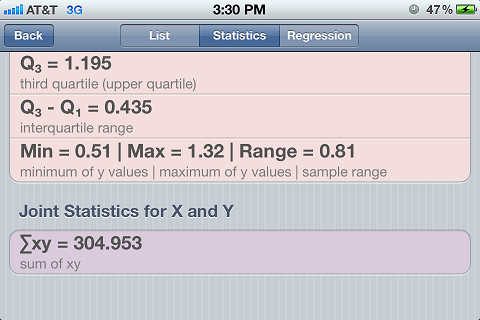 The creators of 5-star Scientific++ present Statistics Calculator++, a calculator that has everything Scientific++ does plus statistical and regression analysis. Rotate the device to get the lists sorted. 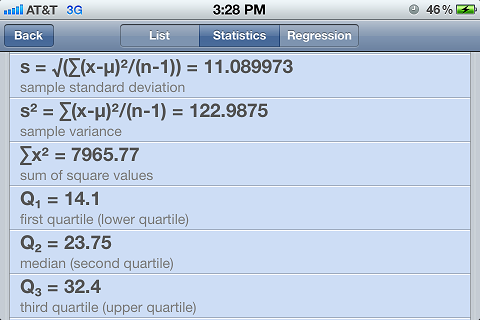 For regression analysis linear regression, logarithmic regression, exponential regression, and power regression are calculated. 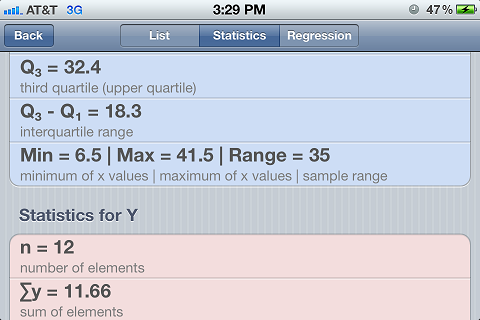 Statistics Calculator++ has an extremely simple and intuitive user interface to choose the regression model and calculate predictions for x and y values and view residuals and residual sum of squares. Capability of calculating permutation, combination, Least Common Multiple (LCM), Greatest Common Divisor (GCD), and prime factorization. Statistics Calculator++ is an ongoing project and we are working on more features and functions to be added to every update of the app. You are going to love the simplicity of the user interface and yet have the powerful functionality with which Statistics Calculator++ is loaded. For instructions manual for scientific functions of Statistics Calculator++ you can refer to the manual written for Scientific++ app, at Scientific++ page [link].